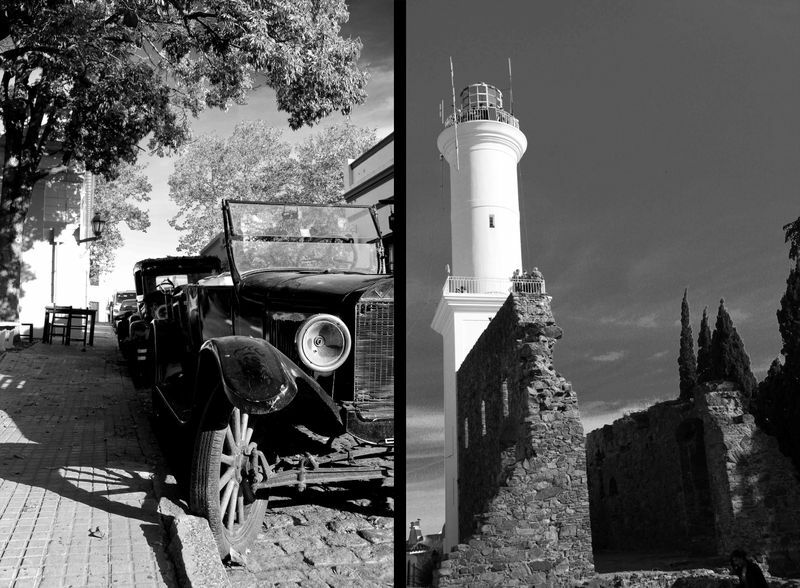 A three hour boat ride across the Rio de la Plata is the small town of Colonia del Sacramento, Uruguay. 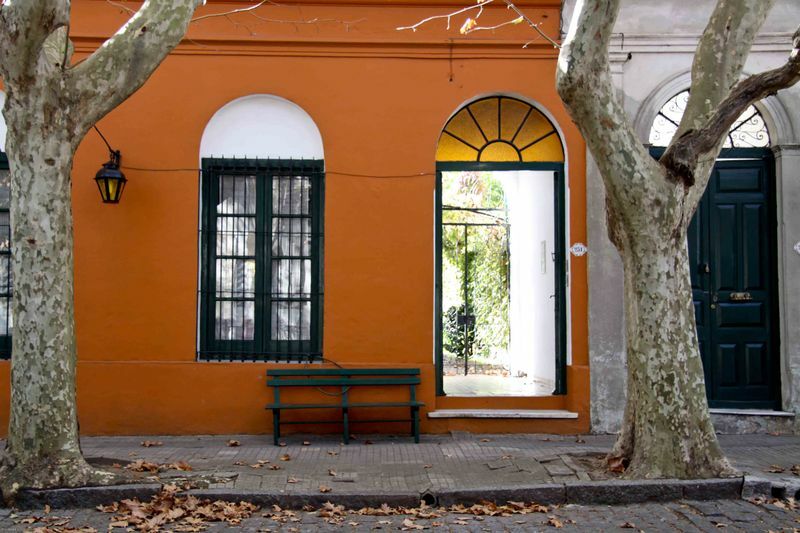 After the hum of Buenos Aires, it felt like we were in slow motion while walking through the quiet cobblestone streets of Colonia. There is not a whole lot to do here other than relaxing, eating and maybe cruising around on a scooter. The absence of car horns, thundering buses, and crowded streets was a welcome change after being entrenched in the Buenos Aires lifestyle for over a week. 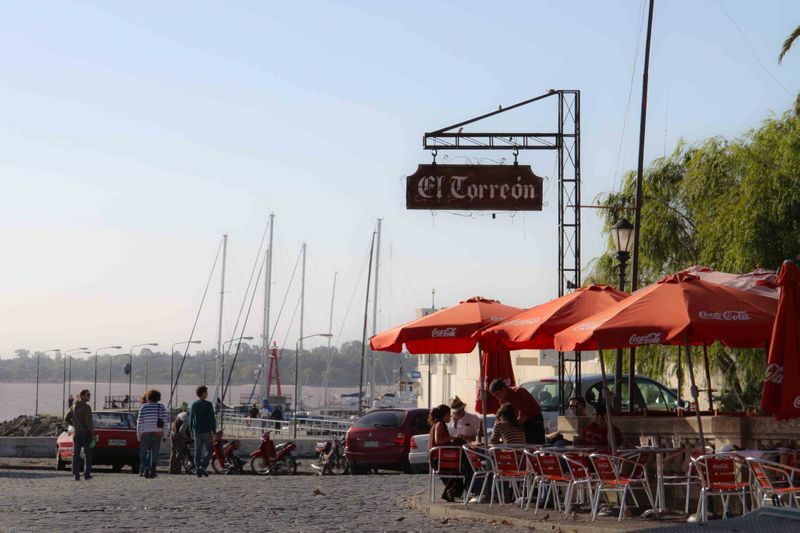 The top Colonia highlight for us was just simply the relaxed atmosphere. 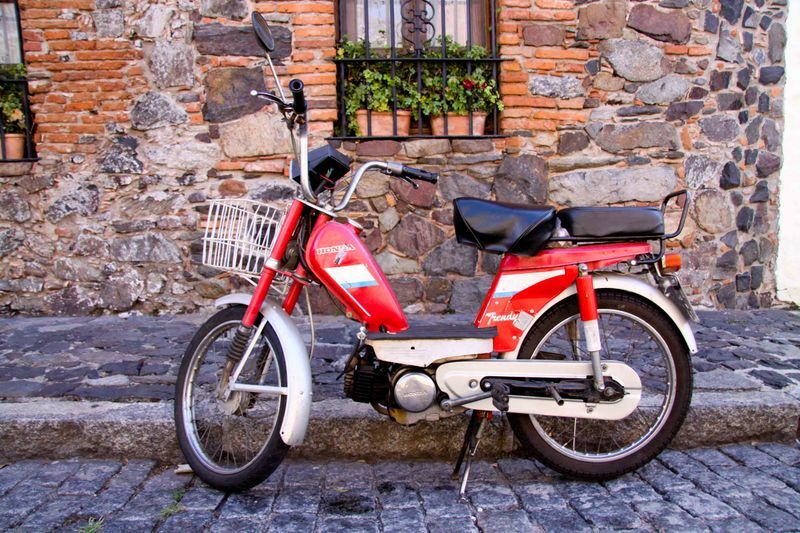 Other great things were the immaculately clean cobble stone streets, the light house in the center of town, the vintage scooters and cars and the cute little cafes. At the cafes we were introduced to Uruguay's national dish, chivitos. This is a steak sandwich with a fried egg, lettuce, tomato and fresh cut fries. Massive, delicious and $4. When we arrived here, we had like 4 hours to kill and had absolutely no idea what a gem this place was. It feels like the locals clean every corner of it with toothbrushes and the love that is put into this village is so amazing you never want to leave! I was truly sad to take the boat to go back Buenas Argentina. This pictures are really nice it is the good example of photography.I likes this.Thanks for the sharing this type of pictures with us.